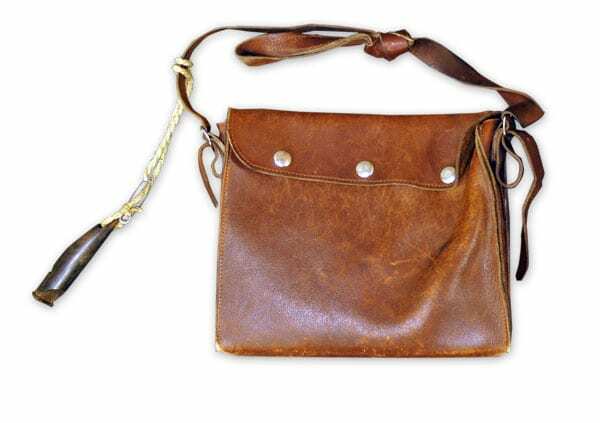 Description: Brown, 2 leather carrying straps. Zipper on the top. Rectangular leather patch with the Finnish flag, the Olympic rings and the text: HELSINKI 1952 FINLAND. The red ring has almost worn off.